At the planning stage, the process of outcome mapping helps a project team or program be specific about the actors it intends to target, the changes it hopes to see and the strategies appropriate to achieve these. For ongoing monitoring, OM provides a set of tools to design and gather information on the results of the change process, measured in terms of the changes in behaviour, actions or relationships that can be influenced by the team or program. As an evaluation approach, OM unpacks an initiative’s theory of change, provides a framework to collect data on immediate, basic changes that lead to longer, more transformative change, and allows for the plausible assessment of the initiative’s contribution to results. create an evaluation framework to examine more precisely a particular issue. OM is a robust methodology that can be adapted to a wide range of contexts. It enhances team and program understanding of change processes, improves the efficiency of achieving results and promotes realistic and accountable reporting. Potential users of OM should be aware that the methodology requires skilled facilitation as well as dedicated budget and time, which could mean support from higher levels within an organisation. OM also often requires a “mind shift” of personal and organisational paradigms or theories of social change. OM involves 12 steps in three stages: intentional design, Outcome and performance monitoring and evaluation planning. The mission spells out how VECO will contribute to the vision and is that ‘bite’ of the vision on which VECO’s programme is going to focus. The boundary partners are those individuals, groups, or organisations with whom the programme interacts directly and with whom it anticipates opportunities for influence. Strategy maps are a mix of different types of strategies used by the implementing team (VECO) to contribute to and support the achievement of the desired changes at the level of the boundary partners. OM encourages the programme identify strategies which are aimed directly at the boundary partner and those aimed at the environment in which the boundary partner operates. Organisational Practices explain how the implementing team (VECO) is going to operate and organise itself to fulfil its mission. It is based on the idea that supporting change in boundary partners requires that the programme team itself is able to change and adapt as well, i.e., not only by being efficient and effective (operational capacities) but also by being relevant (adaptive capacities). Monitoring priorities provides a process for establishing the areas of the project to be monitored. Outcome journals are a tool for collecting data about the progress markers over time. Strategy journals are a tool for collecting data about the activities of a project. Performance journals are for collecting data about organisational practices. Evaluation plan provides a process and a tool for designing an evaluation using OM. OM includes two generic tools to support these decisions: monitoring plan for setting monitoring priorities (step 8) and the evaluation plan (step 12). 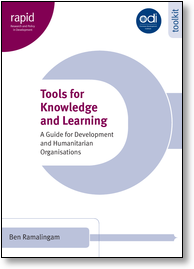 These tools are based on the principles of utilisation-focused evaluation and both can be used for any kind of evaluation, not just those applying OM. The vision and mission steps of OM provide a useful way of succinctly describing the initiative. The particular way that OM uses these common tools, and the process it suggests for developing them, make them very effective at getting to the core of what an initiative is really about and what its core contributions are. The outcome challenge and progress markers tools, together with the outcome journals, allows users to capture unintended changes in behaviour of crucial actors external to the programme, as the programme is running. They can also be used in a retrospective evaluation, to re-construct a process of change to bring up intended and unintended (positive and negative) outcomes. The 7 steps of the intentional design stage of Outcome Mapping provide users with a guided process for developing a logic model based on the articulation of changes desired in direct partners, and the strategies employed by the initiative to support these. In particular, the Progress Marker tool (step 5) helps users develop a theory of change for particular actors based on concrete, observable behaviour changes. The OM concept of boundary partners can be useful in identifying intended users of an evaluation by focusing on those who are directly associated with the initiative itself. OM suggests a participatory approach to developing outcome challenges and progress markers together with boundary partners. This process is very effective at illuminating different perspectives of the initiative and the underlying values of different stakeholders. Although OM doesn’t depend on any particular data collection option, it does suggest the use of journals for collecting qualitative data. Outcome journals are used to collect data about behavioural changes observed among boundary partners while the strategy journal is used to collect data about the activities completed. A third journal is also provided for collecting data about the internal performance of the initiative, in particular its learning function. In cases where there are many boundary partners grouped together (perhaps because they play a similar role or the outcomes hoped for are similar), being able to see the outcome journals for each of them can provide a quick overview to compare across the set. With the use of progress markers the process towards a specific outcome can be analysed independently from the intervention itself. If the journals are used well then ongoing monitoring will result in a record of incremental change that may or may not have been influenced by the initiative. This can then be used to reconstruct pathways of change. Likewise, a retrospective assessment based on the OM approach will generate alternative and complimentary explanations. OM is explicit about the fact that change occurs as a result of many actors and factors. It is designed for the purpose of understanding an initiatives contribution to change in the context of other factors outside of its control and each step in the OM process builds on this idea. Support use: OM provides a process and guidelines for continuous reflection among key actors involved in the initiative. By building in participation from the start, OM maximises the chances that findings will result in actual changes on the ground. Outcome Mapping FAQs: This website from the Outcome Mapping Learning Community provides answers to 14 frequently asked questions about outcome mapping. Outcome mapping: A method for tracking behavioural changes in development programs. This ILAC brief provides an overview of the process of outcome mapping including relevant examples. Outcome mapping: Building learning and reflection into development programs: This book outlines a detailed step by step process for using outcome maps including a variety of worksheets and examples. 10 Years of Outcome Mapping: This webinar from the Outcome Mapping Learning Community (OMLC) presents the key findings from research conducted into the extent of Outcome Mapping use and the support required for its implementation.